While her Oberlin classmates were accepting their diplomas at their graduation ceremony back in Ohio, Eleanor Bors found herself on board the research vessel Kilo Moanaalmost 200 miles off the coast of Guam. It was an opportunity too good to pass up. The voyage marked the first field deployment of Nereus, Woods Hole Oceanographic Institution’s (WHOI) new hybrid remotely operated vehicle, capable of diving far deeper than any other current vehicle. Its target was the Challenger Deep in the western Pacific Ocean—at about 11,000 meters or 6.8 miles below the surface, the deepest recorded point in the ocean. Nereus provided an exciting opportunity to investigate previously unexplored territory for WHOI scientists—including Bors’ advisor, biologist Timothy Shank. “Deep-sea biology is what I’ve been drawn to most—it’s kind of a frontier of marine science,” said Bors, who earned degrees in biology and cello performance from Oberlin. “Some of the species we observed may never have been collected before,” including sponges and stalked anemones. 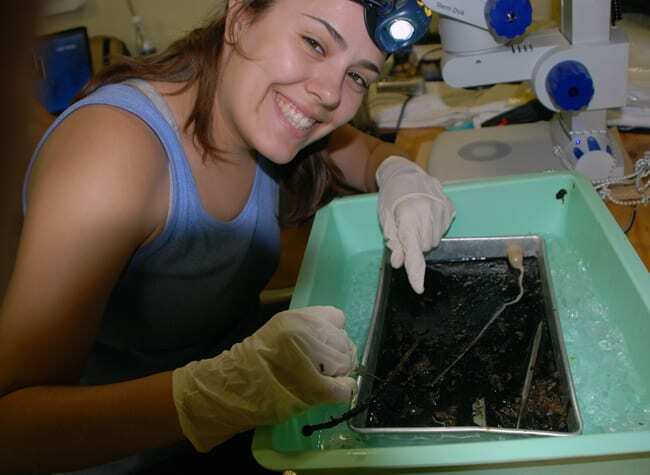 Back in Woods Hole, Bors worked on genetic methods for identifying larvae as part of a study of how worm communities recolonize hydrothermal vent sites after volcanic eruptions. Organisms like these have evolved specialized mechanisms to survive in such extreme conditions. Bors continued work on this project into the fall. A Seattle native, Bors has always loved being near the ocean, which steered her toward marine science. While this summer marked Bors’ first research cruise, she had plenty of opportunities to find her sea legs while earning her sailing certification on 25-foot keelboats and traveling the Atlantic on the Sea Education Association’s Corwith Cramer in high school. 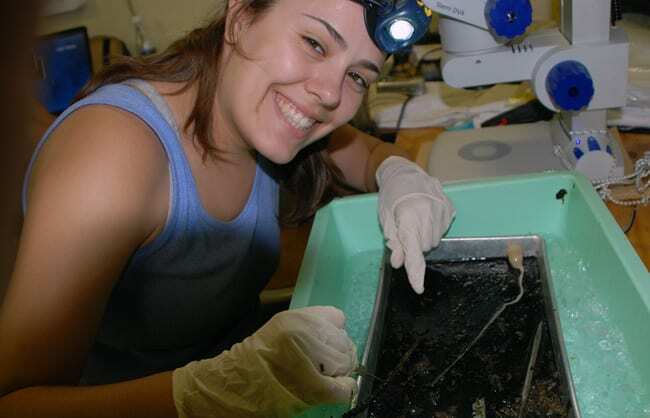 In addition to deep-sea biology, Bors has a keen interest in environmental policy and its relationship to science; she is considering a future in one or both fields. This was one of the many subjects Bors discussed in her summer blog, In an Octopus’s Garden, which provides an insider’s account of life as a Summer Student Fellow. Outside the lab, she enjoyed “nerding out” and exploring Cape Cod with her peer fellows and sailing in knockabout races in the waters off Woods Hole.